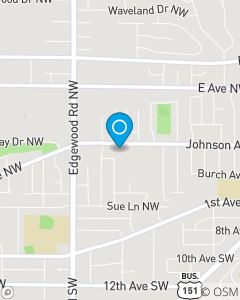 Conveniently located near the corner of Edgewood Rd and Johnson Ave.
Kari Klien's Agency invites you to experience the way we provide insurance and financial services to you, your loved ones, and/or your business and employees. We service Cedar Rapids, IA and beyond! Our team operates under a service mentality and positive attitude! We strive to create a welcoming environment, whether on the phone, in person, or online!